ABS-CBN TVplus’ Kapamilya Box Office (KBO) ushers viewers into this year’s most glamorous celebrity affair as it airs the full coverage of the Star Magic Ball Red Carpet event this Sunday, October 1, at 6 PM. Look out for the red carpet looks of Anne Curtis, Bea Alonzo, Maja Salvador, Piolo Pascual, Paulo Avelino, John Lloyd Cruz and more Star Magic talents as Gretchen Ho, Tim Yap, Raymond Gutierrez, and Bianca Gonzales bring you blow-by-blow reviews of the evening’s best in fashion. Watch how unhappy, broken-hearted campers Bela Padilla, Arci Muñoz, Yassi Pressman, Kim Molina, and Andi Eigenmann, find a new lease on life and love thanks to Camp Sawi. Meanwhile, the Star for All Seasons, Vilma Santos, headlines “In My Life,” as a mother learning to accept her gay son’s relationship with another man. Zanjoe Marudo plays a disgraced cop who wants to do right by his wife by going after the people who stole her ring, while trying to outrun his dark past in “Rematado”. It is the ultimate star-studded KBOnding experience, with a movie for every mood. Not only that, KBO 30 comes with 100 tri-net texts (to Globe, Touch Mobile, and ABS-CBNmobile), and 50MB data for only P30. 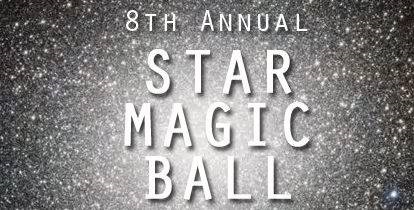 Watch the full coverage of the Star Magic Ball 2017 Red Carpet through KBO by texting KBO30 SEP30 [BOX ID] to 2131 using ABS-CBNmobile.